You would be hard pressed to uncover a more convenient design for a knife block. 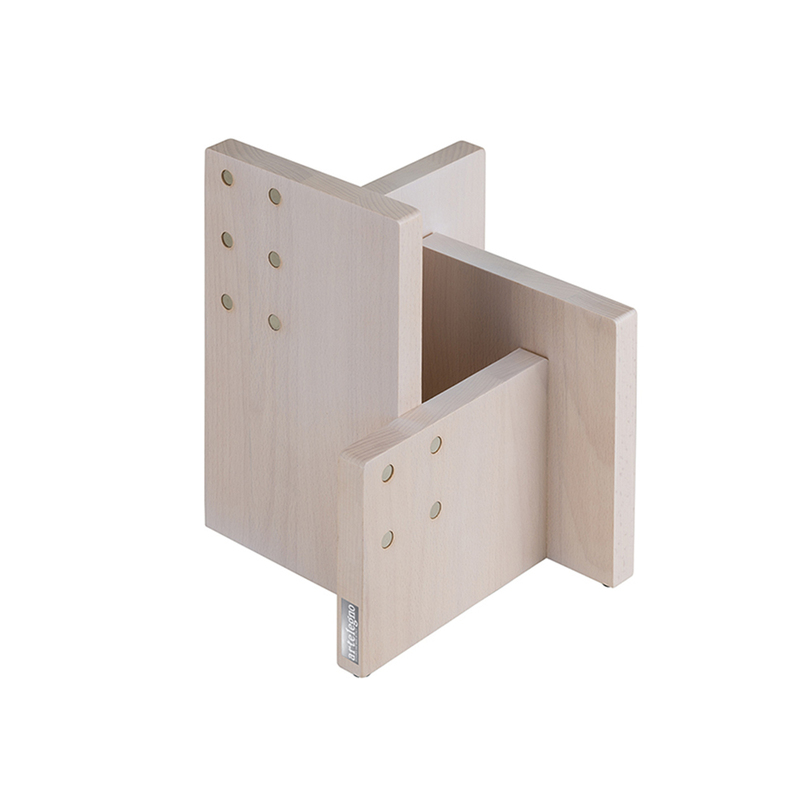 Four strong neodymium button magnets safely secure two knife blades to the outside of each of the Kombi’s 4 beech wood panels. Having your trusted, most-often used knives within quick, easy reach, you can devote your full attention to culinary pursuits, instead of wasting time hunting down this knife or that. 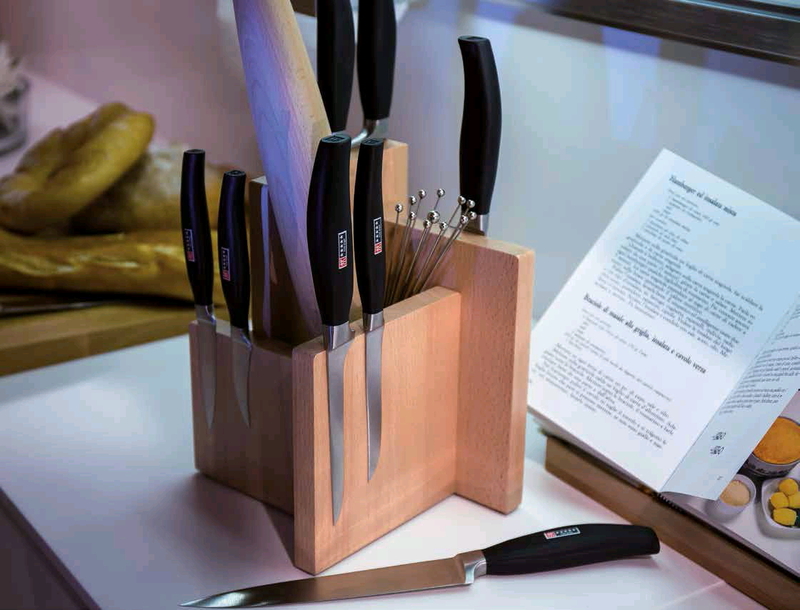 Waste not, want not, so make good use of the storage space created by the Kombi knife block’s four magnetized panels. Use it to keep handy tongs, wisks, rolling pins or you name it. 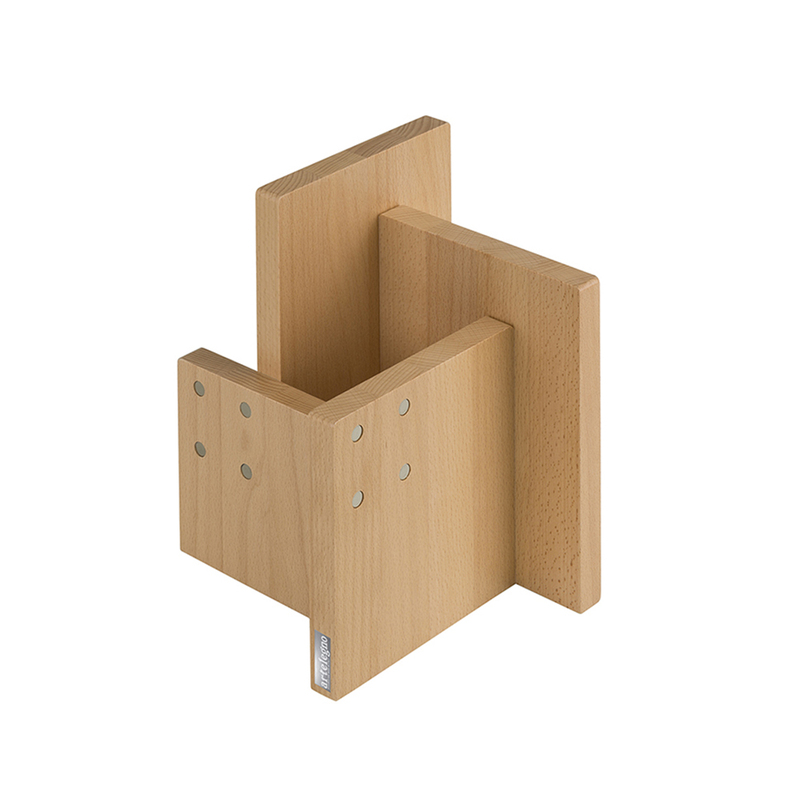 As you can see, Artelegno’s Kombi actually provides two convenient storage systems for kitchen essentials.